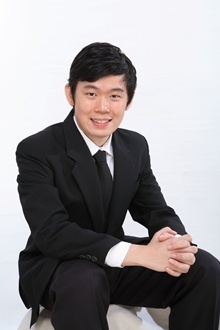 Mr. Wong Peng Shen obtained his Bachelor of Law with Honours from the University of London in 2010, he then pursued and obtained his Certificate in Legal Practice in 2011. Upon graduation, Wong completed his pupilage under the guidance of a prominent and well-respected lawyer in Pahang, Mr. Francis Tan Jeng Lok and was subsequently admitted to the Malaysian Bar on 29th August 2012. Upon admission as an advocate and solicitor, Wong continued to practice with Messrs Rosni, Francis Tan & Ho and was exposed to the field of litigation and conveyancing works. Wong is an active member and the legal advisor to several local organizations and societies in Temerloh, Pahang. Besides that, Wong is also active in the politics field. Puan Radhiah Hanim obtained her Bachelor of Laws with Honours from International Islamic University of Malaysia in 2009. She commenced her pupillage in February 2014 and was subsequently admitted to the Malaysian Bar on 21st January 2015. She has joined Messrs. PS Wong & Co as a partner in February 2015. Puan Radhiah Hanim was exposed to the field of litigation and conveyancing works during her pupillage, particulary in the area of banking litigation. She was also active during her university days, she was a member of the council in the Law Student Convention, one of the committee member in a career seminar, and a member of the Law Students Society.